such grace and tranquility. the very air of nature surrounds erland cooper's work. 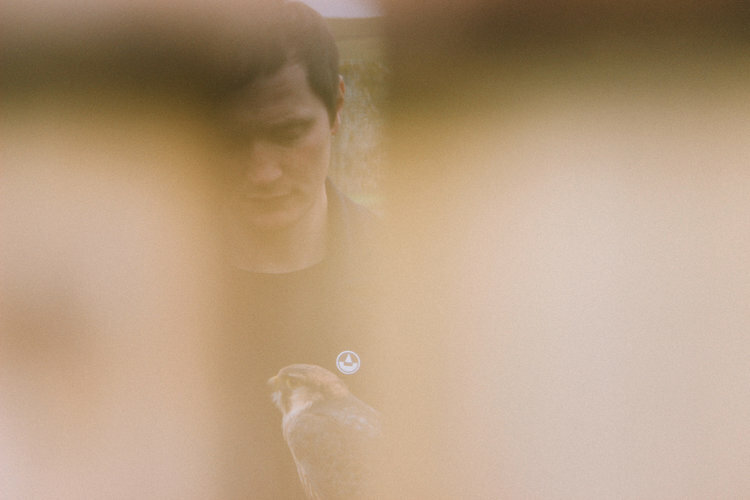 hardly coincidental, now living and working in the concrete and glass tethered structures of london that his debut solo project would reflect a birthplace return to orkney. the thematics of solan goose in giving each track the native title of birds seen in those isles shares a sense of place. reaching, soaring above rugged landscapes and desolate once-inhabited arenas, an awe of cleansing freedom abounds. overwhelming feelings of being unencumbered through enveloping piano, strings, choral voices and effects. the strength of feathered beauty held aloft. calm. beating. alive. essentially flight cinematography within sound. cattie-face engages the archipeligo further with its opening residential orcadian conversational fragment, a distinctly emotional human/owl encounter. washing through all the pieces are intricate shifts of moods, glimpsing seasonal variants perhaps? memories realign a timeless place. clearly where the soul lies intact. erland cooper, with his musical collaborators and immensely powerful photographic/film-work of alex kozobolis have produced a whole of breathtaking, sensory elational pieces which lie in an area of contemporary classical soundtracks inhabited by few. hilmar orn hilmarsson might sit silently contemplative beside. swathed in this beguiling warm blanket.